COMMENT | A paradigm, according to science philosopher Thomas Kuhn, is based on consensus. He showed that science was not a mere accumulation of facts through trial and error, but what scientists agreed to be correct. But Kuhn also argued that all paradigms can be disrupted. And, when they are, the previous paradigm collapses. Sociologist Daniel Bell called this the "end of ideology." This means when an old paradigm has lost its explanatory and prescriptive value, a new one will naturally supplant and displace it. In a way, policymakers here have been attempting the same since the country came into being, by revising and challenge each five-year plan. Of late, this can be seen in the midterm review of the 11th Malaysia Plan. One can also include the Bumiputera Empowerment Congress in September. Since the National Economic Policy formed the backbone of economic planning, the review of any plans or vision documents tends to echo its gold standard. However, this has been corroded by Umno; all that glittered turned out not to be gold, so how can the NEP be trudged out to create a new paradigm? Under the rule of Abdullah Ahmad Badawi, all GLICs were allowed to improve their balance sheets by going abroad. Once there, however, instead of harnessing FDI into the country, these GLICs tried to find greener pastures for themselves. Felda Global Ventures and Mara went on a buying spree of hotels in the UK and Australia. Even fugitive financier Low Taek Jho did the same in the US until the kleptocratic ruse was uncovered by Sarawak Report and the Wall Street Journal. When Najib Abdul Razak took over from Abdullah in 2009, he created 1MDB to borrow heavily on various debts, with the financial guarantees of the government to make a success out of Bandar Malaysia. By building it in an already congested section of the city, Najib was crowding out other good investments and making them more costly. To the degree 1MDB was affected by controversy its debt and liabilities were absorbed by the Finance Ministry. When it could no longer handle the toxic assets and balance sheets, Tabung Haji and other GLICs, even Bank Negara, were brought in to bail it out. Even the National Audit Department was said to have altered its report on the investment firm. Regardless of what was done and how, and by whom, Umno’s larger justification has always been the self-serving agenda to protect the party elite, rather than the Malays. 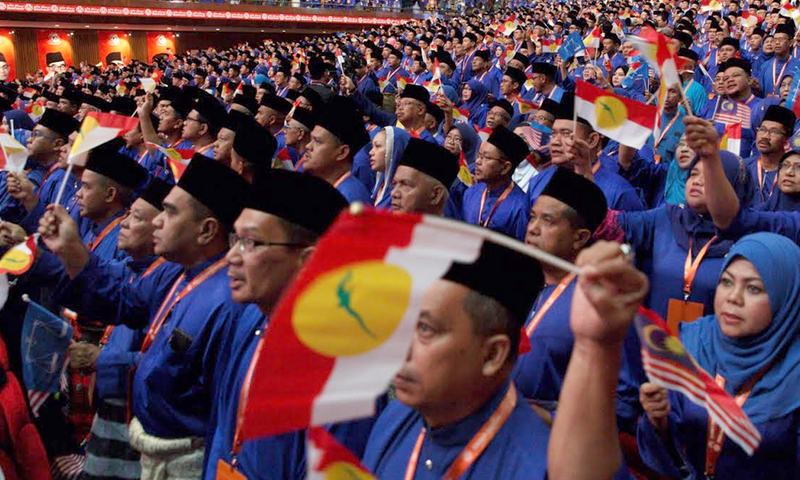 By focusing on themselves, Umno lost touch with its roots, and failed to protect the provisions of Article 153. Then Umno resorted to importing cheap labour into Malaysia to keep wages down. Malays were the first to be affected. But Umno couldn't have cared less, and allowed more and cheaper labour to swarm in, depriving Malays of the right to enjoy liveable wages. The fact is this though: neither the administrations of Badawi, with his "fourth-floor boys", or Najib, with his "kitchen cabinet", knew how to protect the Malays. If they did, several oddities would not have pervaded in the system from top to bottom. First, a select few controlled most of the financial liquidity of Permodalan Nasional Berhad. These were fair-weather investors, who would bail at the slightest smell of trouble. This is how Malays betray Malays, when plutocrats look after their own material interests, and not that of the Malay laity. Indeed, if PNB did not offer yields at above market rate, the elites of Umno would have parked their cash elsewhere, even if such a move would destroy the fund’s financial liquidity. The modus operandi of these investors was "me first", and the rest of Malays last. Secondly, there are 94 bumiputera development agencies, which spawned 1,137 companies. Yet to date, aside from Mara, there is no telling of these agencies’ annual returns. These agencies clearly have become dishevelled, disorganised and disrupted. Third, research seems to suggest that since the introduction of the NEP in 1970s, Malays only own 18 percent of corporate entities. Remove the equity participation of institutional investors, and this falls to an abysmally low five percent. Nor is the goal of 30 percent going to be reached, since Malays tend to want to sell their shares and equities as and when they have made a profit. This is the proverbial moving of goalposts – a weak measure of what Malays can achieve or truly own in perpetuity. And when the goal cannot be reached, Malays assume others are sticking a knife in their corporate portfolios, when in fact it is Umno cheating them, bringing to mind the Malay saying, "Harapkan pagar, pagar makan padi". Umno embodied the worst form of this, which is why Malaysia devolved into a kleptocracy, before Pakatan Harapan managed to stop the rot. Fourth, an NEP-centric document that is numerically tagged to 30 percent may not be a good thing – especially with Umno’s manipulations, which includes keeping the wealth among the elite. By creating a false positive balance sheet economy, Umno was pulling the wool over the people’s eyes, at least until May 9. The fact of the matter is, Malays and Malaysia must globalise. And the economic conditions must become more varied and complex, and not driven by how Umno pads the accounts. 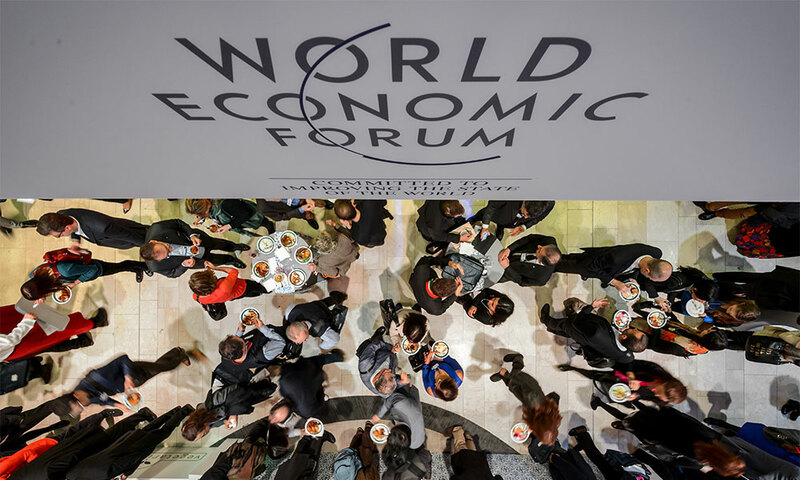 For example, the World Economic Forum listed the top ten risks of doing business in the current international economic system. The United State has its lowest unemployment in 49 years, the European Union in 43 years and Japan in 25 years. But the midterm review of the 11th Malaysian plan seems oblivious to the external situations abroad. Malaysia has come a long way form 1957 with its US$314 billion GDP, and it can go further. But this is premised on good governance and nimble, effective and strong economic statecraft–not just within the country, but in consonance with the world. The US Federal Reserve Bank, for instance, has approved eight interest hikes in the last two years alone. The era of cheap money can and will disappear in the next one to two years, if interest rates in Washington continue to rise. The global economy is also going through more revolutions in apps, algorithm, analytics and automation, which will lead to more Sino-US trade rivalry as both compete to become dominant in these fields. None of these is apparent in the NEP, the 11th Malaysia Plan nor its midterm review. Yet, Malaysia is right in the thick of these disruptive technologies, as it is the 17th largest trading state in the world, as well as China’s One Belt One Road initiative. New Malays in a new Malaysia must take these disruptions into account instead of insisting on perpetual protection from the state. In a honeycomb economy, any app can theoretically disrupt old supply chains – Airbnb allowing tourists to circumvent the front desks of hotels, BMW’s DriveNow dismantling notions of ownership, and EdX allowing students to bypass enrolment in formal universities. If Malaysia does not try to think of new ways to become a new country, one that can adapt to the latest digital disruptions, a mere fetish with NEP – which has become a vehicle for rent-seeking and corruption to enrich the Umno elite – will only cause resentment among the other 99.5 percent of Malays. If anything, May 9 was an indication of how mad the rakyat can get when wealth does not trickle down. As things stand, there are 113,000 Felda settlers, of which 32,000 have been receiving cost of living aid. While they wait, the prices of palm oil will not go up anytime soon, since China has agreed to buy US soybean in order to prevent the collapse of Donald Trump’s presidency. Little wonder palm oil is doing badly. Workers from Felda have to think of new ways to make a breakthrough. It is also important to diversify new markets for palm oil, including, but not limited to, Russia, Eastern Europe, and South Asia. New Malays must have the strategic mentality to go where returns are highest, even before GLCs have found the first breakthrough. 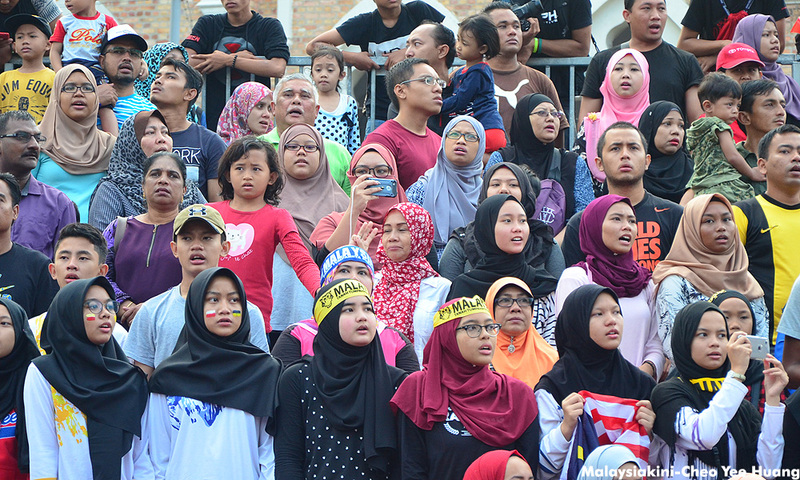 There are four ways Malays can change. As rudimentary as it may sound, they have to assess strengths, weaknesses, opportunities and threats. Strength can be derived from the willingness to defend their honour, after years of being spoiled by Najib. Nothing is more powerful than the will and tenacity to change or turn over a new leaf. 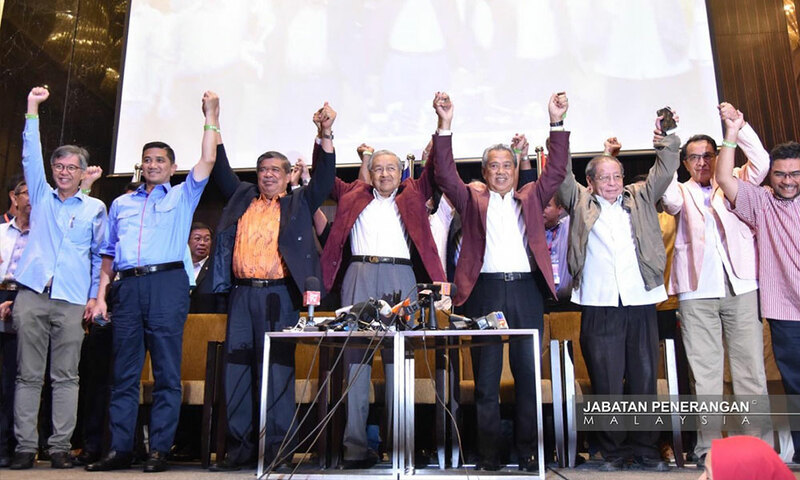 But just as some are committed to turning over a new leaf, weaknesses lie in certain quarters like Umno and PAS luring people back to the racial and kleptocratic ways of old in time for the 15th general election. Now that Malaysia has ditched the kleptocracy and kakistocracy, new opportunities are opening up for the likes of Bersatu to field more qualified and capable candidates in GLCs, GLICs and even thinktanks. The party must not lose this once in a lifetime chance. Appointing qualified and capable candidates, rather than mere politicians, is key towards recalibrating Malay minds. The threats come in the form of the pseudo-Islam peddled by some in PAS, and increasingly, Umno – evident in the PAS Youth Chief’s dictate against the celebration of Christmas. When Malays can engage, and work with those from any race across the aisle, there is no stopping Malaysia from becoming a major strategic power in Asean.